All Classical Portland is Portland, Oregon’s classical radio station. Established in 1983, All Classical Portland’s mission is to advance knowledge of and appreciation for classical music; to build and sustain culturally vibrant local and global communities around this art form; to reflect the spirit of the Pacific Northwest; and to foster integrity, quality, and innovation in all that we do. The stations of All Classical Portland rebroadcast the KQAC signal from Portland. Classical music for the Hood River area became a reality with the launch of KQHR 90.1FM in November 2001. All Classical Portland added a new station in October 2008, KQDL 88.1 The Dalles. In May 2008, a long-time dream to have a classical station at the Oregon Coast became reality when KQOC 88.1 FM went on the air from Cape Foulweather. Our strongest signal in Oregon, this station reaches Tillamook and Cannon Beach to the north and Yachats to the south. In 2011, KQHR’s frequency moved to 88.1 and a repeater station in the east Columbia Gorge was added at 96.3. KQHR’s power increased and KQDL went off the air as 88.1 and 96.3 now cover the gorge. 2014 saw the addition of two new KQAC repeater stations, KQMI 88.9 FM in Manzanita, Oregon, and 95.7 FM in Corvallis, Oregon. As non-commercial public radio stations, KQAC, KQHR, KQOC, and KQMI rely on listener contributions, a marvelous, broad community of support, which provides over 93% of our budget. This amazing show of support includes funding from various regional foundations and local businesses and arts organizations that underwrite our programming through on-air sponsorships. Additionally, a small portion of our annual budget comes from the Corporation for Public Broadcasting (CPB). For a full history of All Classical Portland, please see this booklet, which we created in August 2013 in celebration of our 30th Anniversary. The history of Portland’s only 24-hour classical radio station (PDF). 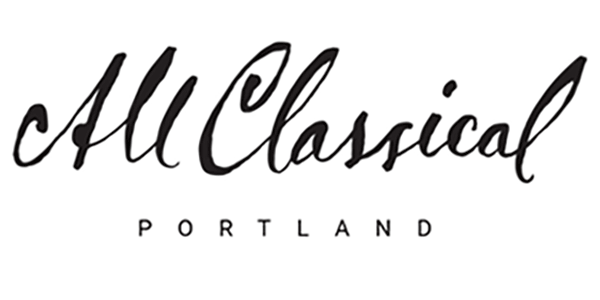 August of 2018 will mark All Classical Portland’s 35th anniversary! Music Director, John Pitman, has been working for All Classical during all 35 years! Below is a great audio clip of John describing the early days of Portland’s classical radio station. In the fall of 1983, a young woman in Southeast Portland turned on the radio and experienced the power of Beethoven’s Fifth Symphony for the first time. A life-altering experience, made possible because, on August 1 of that year, KBPS began broadcasting classical music on 89.9 FM. This was just the latest evolution of an educational service with roots dating back 60 years. KBPS AM 1450 has a rich, nine-decade history. Since March 1923, countless experienced Benson Polytechnic High School instructors have educated and prepared young Portlanders for broadcasting careers. This classical FM station grew from the firm foundation established by those who dedicated themselves to KBPS. KBPS 89.9 FM eventually became All Classical Portland with new call letters: KQAC, with QAC standing for quality all classical. The station is still broadcasting at 89.9 FM in the Portland-Vancouver area and serving listeners across the globe on the Internet. Thirty years ago, however, the station broadcast from a make-shift space on the second floor of Benson High. Over the years, the station that began as an offshoot of KBPS AM has become a self-sufficient, listener-supported, world-class radio service. All Classical Portland owes its existence to those who believed in the importance of an FM classical music service. As All Classical celebrates the 30th anniversary of the station’s inaugural broadcast, this story will focus on what, and who, made the station possible, and glimpse into the future to see what might be in store for the next 30 years. How does a world-class radio station begin? of teenagers bustling from classroom to classroom. But there’s something very special about this particular high school; it’s Benson Polytechnic High School in Northeast Portland. At the end of one hallway on the second floor is an AM radio transmitter, putting out a mere 200 watts of broadcast power, just enough to get a signal as far as Sellwood. At the opposite end of the building is a converted classroom serving as a broadcast booth. It’s a terrible, noisy spot, right next to the auditorium. But this is where the opportunities are and, if you’re going to learn how to make radio, this is where you go. Transmitter racks and equipment line the walls of the classroom. Wires dangle from the ceiling. A table is set up with an audio mixing console. It’s here that staff records station IDs. It’s also here that an energetic 17-year old student named John Pitman would one day spend his summers, learning the ins and outs of creating radio. The door to the station is right next to the school auditorium entrance. Whenever a school assembly is scheduled, the station is rearranged to accommodate the desks for the makeshift classroom in the auditorium hallway. It may not be the most attractive, efficient or convenient arrangement, but it’s cozy and it works. From these inauspicious beginnings, a world-class radio station would eventually develop. It would take years and require the strenuous efforts of many dedicated, talented people. Eventually, on August 1, 1983, this little booth at the end of the hallway on the top floor of a trade school would give birth to a classical radio station that would someday serve not just Portland, but the world. Beginning in 1947, Dr. Patricia Swenson proudly took the helm of KBPS 1450 AM as General Manager. Swenson is described by many who knew her as courageous, formidable, and a force to be reckoned with. Over the decades, she worked tirelessly to serve appreciative students and the Portland community. By the 1970s Dr. Swenson had developed a strong network in Portland, which included the school district, commercial broadcasters and governments at the local, state, and national levels. There was strong public support for the station, but there was also concern about the effectiveness of the AM station and its student program. There was even talk of shutting the station down. Programming at that time included educational, public affairs and arts events, along with some orchestral and chamber music. Business and cultural leaders were asking for more classical music on the higher quality FM band. The station Advisory Council members, sensitive to these requests, started a discussion about the possibility of adding an FM station. They believed that the additional service to classical music enthusiasts could ensure future growth. The idea of a classical music service wasn’t new. There were other stations vying for the classical music audience with varying degrees of success. Sometimes a difficult challenge can inspire people to rise to the occasion; strong resolve and leadership were the results of this particular challenge. Dr. Swenson knew how to build something from nothing and she never shied away from tasks others would find daunting. Her persistence led the initial charge, and her tenacity made it possible. The Advisory Council members quickly began working with station staff to get a federal permit to build a new radio station. First, they had to identify and secure an FM frequency. Two important things occurred in 1981: Reed College’s KRRC agreed to change their frequency, allowing KBPS to have 89.9 FM. And the FCC issued a two-year construction permit to build the new studios and an FM broadcasting antenna on a tower in Portland’s West Hills. Program Director Darryl Conser began working with Dr. Swenson at KBPS AM in 1968, ultimately becoming essential to both stations throughout his career. Many will tell you Conser was responsible for a good part of station operations, always giving himself entirely to each and every task. No matter what challenges the new FM station faced, Conser was always first on the scene to address it. When it got down to building the new FM studio, engineer Tom Cauthers and Conser purchased the console and completed all the necessary wiring. They discovered that the AM signal was bleeding into the FM broadcast. The team was quick to install copper screening to prevent further sound leakage. There was a great deal of excitement surrounding the new FM broadcast. When listeners heard there was going to be a classical station on the FM dial, some would walk up the stairs at Benson to hand over contributions in person. A new venture comes with some uncertainty, and the KBPS staff resolved to make it successful. During its first years, given the small staff size, the FM station used satellite feeds to play pre-recorded music without local announcers. There was controversy about the mix of programming. Over time, adjustments were made in response to listener feedback, and the station moved from the outdated patchwork quilt of programs to a more cohesive format, allowing listeners to tune in whenever they wanted, knowing beautiful classical music was always at hand. Adding the FM station to the already cramped quarters at Benson High made it apparent that a move to a more suitable space was needed. The pursuit became Dr. Swenson’s driving purpose. Again, she rallied the troops into action. Sharing close quarters and working toward a common goal generated a camaraderie that united the group to face and overcome each new challenge. Accounts from the earliest days of the FM station indicate that everyone involved took a great deal of pride in their efforts to grow the service. Irene Nishimoto became a new face at the station in 1989, serving as assistant to Dr. Swenson. Her involvement was crucial for maintaining consistency during what would be a turbulent time for the FM station. Just six months after Irene joined the team, a spirited young woman with a playful sense of humor also started her career at KBPS FM. To this day, Mary Evjen continues to serve the station as the Director of Communications and Volunteers, cultivating and maintaining relationships with hundreds of station devotees. Benson High School was slated to undergo major improvements in the early 1990s. The KBPS Advisory Council was made up of enthusiastic citizens and community leaders within the broadcast industry. When they learned the redesign plans did not include additional space for KBPS, station staff and board members started a capital campaign to raise money for a new building to house both the AM and FM stations. In 1989 the station formed the Friends of KBPS so there could be a repository separate from the school district for the funds they raised. This group approached businesses, individuals, trusts and foundations to help fund the building of the new KBPS broadcast center. While challenges can sometimes slow progress in an organization’s evolution, they can also produce an important asset: champions. Throughout All Classical’s history, there have always been advocates who pop up at just the right moment to protect, defend and support. Many people helped address the continually evolving needs of the station and stepped up to solve a broad range of technical and administrative issues related to building and running a successful classical radio service. Richard Gilkey is one of those champions. In the 1980s Gilkey worked for Portland Public Schools as Supervisor of Audiovisual Education, overseeing many of the activities of both the AM and the FM stations. He was deeply involved in helping ensure that the station got all it needed to move forward with the plan for a new building. Not only did he support the station as a School District employee, he also continued as a member of the station’s Board of Directors after his retirement. In 1988 Bruce Van Buskirk was invited to join the KBPS FM team as the first live overnight announcer. He enthusiastically accepted and developed a loyal overnight audience. Van Buskirk recalled an eventful morning in 1991 that proved fundraising for a new building was necessary. It was after midnight one chilly January night when he took his second shift break. A faint smell of smoke urged him to peer down the hallway. Nothing seemed out of the ordinary, so he went back inside and played Beethoven’s Les Adieux Sonata. It wasn’t long before he felt a second look was necessary. Descending the staircase to the first floor, he saw smoke billowing from under the school’s glass doors. A firebomb had set the Benson High School administrative offices ablaze. Firefighters quickly arrived and extinguished the flames. Fortunately, no one was hurt. The culprit was never found. When Van Buskirk was allowed back inside around 4:15 am, he marked the occasion by playing the first pieces that came to mind: Josef Strauss’ Fire Festival Polka, The Firebird by Stravinsky, and Haydn’s Fire Symphony. Friends of KBPS worked diligently to raise enough money to build a new home. Their efforts finally paid off as they reached the fundraising goal for a new building dedicated exclusively to radio broadcasting. Ironically, a massive change to the state’s constitution was underway that would forever change the course of the station’s history. To many, the new building represented more than just the achievement of another goal; it was a state-of-the-art facility where current technology replaced outdated equipment and cobbled together pieces were traded for functioning furniture. No longer would the ringing of school bells require temporary pauses in studio recordings. Both stations were now able to perform at peak efficiency. And nothing filled Dr. Swenson with more pride than knowing the stations had established a home of their own. What should have been a celebratory period in the station’s history ended much too quickly when Portland Public Schools announced the discontinuance of all financial support of KBPS FM (Oregon Measure 5 passed in 1990, setting limits on property taxes and reducing funding for public education). The School District was required to make significant cuts. The decreases began slowly at first, with the worst of the cuts affecting KBPS FM in 1993. This final blow forced the stations to reduce operating staff by half. The impact was considerable, leaving remaining staff holding the proverbial bag. Keeping the station afloat during the next few years required a level of tenacity and resolve unlike ever before. Dr. Swenson cared deeply about the students and the staff. When the major funding cuts of 1993 hit the stations, she took herself off the payroll to help ease the financial burden, continuing to raise funds and serve as manager. She made the difficult decision to retire in 1994, ending her remarkable 47-year career with KBPS. Darryl Conser retired in 1997 after accumulating 30 years with KBPS AM and FM. Conser’s commitment to the station had a significant and long-lasting impact. In 1998 Suzanne White took over as General Manager during a critical time of transition. KBPS FM was now largely on its own financially. Meeting the always-increasing expenses meant finding new and creative ways to raise necessary funds. This became the primary effort of White’s leadership. An important change to the Portland classical radio landscape occurred in 1997 when Oregon Public Broadcasting decided to end its classical music programming. This created an opportunity for KBPS FM to reach an even greater listening audience. It also clarified once and for all that these two public radio stations were separate entities. There was another station in town, one that served up the Canon of Western Music! The number of listeners increased, donations grew, and the station was well on its way to gaining independence. Station programming continued to evolve. In 1998 KBPS FM began airing Northwest Previews, a program dedicated to informing listeners about upcoming classical music performances in the area and giving them an opportunity to get to know local musicians. Today it’s produced by Andrea Murray, and John Burk is the host. Played in Oregon followed in 1999. Hosted by Christa Wessel, the program presents recorded performances from around the state. With new local programs offering a taste of the music and culture of Portland and the region, and with broadcasts of performances from the Oregon Symphony, Portland Baroque Orchestra, Portland Opera and others, the station began establishing a unique sense of place for its listeners, a defining quality that sets All Classical apart in a competitive media landscape. In the late part of the 20th century, an important advancement revolutionized the broadcast industry: repeater stations. FM repeaters allowed stations to reach outlying areas, expanding listenership and reaching unserved populations. For years Columbia Gorge residents yearned for classical music. In November 2001 engineer Tom Cauthers successfully built and launched the station’s first repeater, KQHR 88.1 FM, rebroadcasting the All Classical signal in Hood River. Also in 1999 a partnership with OregonLive allowed KBPS 89.9 FM to take its first tentative steps into the new world of audio on the Internet, making the station’s broadcast available to early adopters of this exciting technology. In 2001 Larry Holtz became the station’s new Chief Engineer. Holtz was hired to increase the range and quality of the station’s signal. By incorporating the latest digital audio processing equipment, he made great improvements in the listening experience, allowing the audience to hear the full dynamic range of the music, from the quietest musical passage to the loudest fortissimo. Up to this point, the KBPS Public Radio Foundation, while vital in terms of fundraising, had been serving in more of an advisory role than a governing one, and for good reason. With Portland Public Schools as the employer of record, the governing duties fell upon the district. But this would change as the station moved closer to becoming autonomous. In the early years of the new century, Portland Public Schools made it known that it was interested in selling the FM license. In 2002, the station’s value was appraised at 5.5 million dollars, a surprising figure to all parties involved. This small start-up station that had required little in the way of funding for the past decade had now become a huge and unexpected asset. Buying the license would ensure true autonomy and independence, but the price tag was daunting. The moment the appraisal became public, other interested buyers began circling, adding an urgency that left little time for careful consideration. KBPS FM always maintained a positive working relationship with Portland Public Schools. Among the station’s growing list of champions was then superintendent, Dr. Donald McElroy. McElroy was supportive of the FM station and its decision to establish the foundation that would help it begin separating its funds from those of Portland Public Schools. When Portland Schools received the license appraisal, McElroy became an accommodating partner, working with the station’s committee members to arrange for payments on the 5.5 million dollar note needed to transfer the broadcast license. General Manager Suzanne White’s focus on increasing underwriting and strengthening fundraising enabled the station to become financially independent. By the time she left in 2003, there was a cash surplus that made it possible to pursue purchasing the FM license. With resources on hand to cover the down payment on the note, a committee was formed to manage a capital campaign. Raising more than five million dollars was an enormous undertaking that took years and required the efforts of many people. On December 15, 2003, the FCC granted the sale of the license, officially making KBPS FM an independent, not-for-profit station. Taking care of its employees became the next priority, and KBPS FM was fortunate to have the right board members in place to assist the staff as they pored over terms and paperwork to determine the best way to manage this newfound independence. Since the staff had essentially been working for Portland Schools, developing new operational procedures became a necessity. Independence was the catalyst that led the board’s transition from an advisory role to a governing entity. Sarah Shelley became the manager in 2004. Shelley and White each had different backgrounds and skills and contributed to the station in different ways. White is credited with the station’s notable increase in income and a new understanding of fundraising; Shelley strengthened the station’s ties to the arts community and positioned the station in a leadership role. To address the ongoing challenge of paying off the license Shelley, along with VP of Development Sally Lewis and Board member Joan Smith, brought in Marilyn Shrum to serve as Capital Campaign Manager. These women worked with fellow Board members James Draznin, Roger O. Doyle, Johanna Cummings and Todd Coward. Together they became the License Acquisition Committee. Lewis successfully increased foundation support while other team members raised smaller amounts from individuals, spreading the cost over a large number of contributors. During the private and public phases of the campaign, the License Acquisition Committee directed the fundraising efforts and moved the station ever closer to achieving the campaign goal. As the station eased into its new independent status, mindsets began to change. Staff started contributing to fundraising efforts, reinforcing the concept that this was truly a community and team effort. No more was it “they” who were paying for the service, it was “we” who made it all possible. Volunteers, office staff, announcers, and listeners were now united as members of the station. This was a significant cultural shift that remains an important part of the station’s success. In the early 2000s, the FCC approved a digital system for use in radio broadcasting that began to gain traction. This digital technology, called HD Radio, allows those with compatible radios to hear an all-digital broadcast. On June 16, 2005, KBPS FM received a grant from the Corporation for Public Broadcasting, becoming one of the first public radio stations in the country to broadcast in HD digital radio. Radios that receive this static-free reception are installed in more cars and are available at more stores each year. Over time, additional grants allowed the station to bring HD digital radio to its Columbia Gorge, central Oregon coast and McMinnville repeater stations. In 2006 listeners were first introduced to The Score, hosted by Edmund Stone. The program features symphonic music used in films. It was very well received and, today, continues to gain popularity. By 2009 it became the station’s first locally-produced program to be syndicated nationwide. At present, 57 stations across the country carry The Score, and listeners far and wide tune in weekly to hear Stone discuss and illustrate the contributions film composers make to the genre. In 2007 another locally-produced program made its debut — Club Mod, with host Robert McBride. Every week McBride pushes the traditional classical music broadcast boundaries as he explores the world of modern music. The professional staff has always been at the core of All Classical’s success, however, volunteers also serve as an important resource for the station. Because of the countless hours, they have contributed, the station has made many improvements without increasing expenses. As the station continued to redefine itself, transforming operations, incorporating improved technology, and strengthening its ties to the community, programming and on-air announcing also evolved, becoming more polished and professional. Under General Manager Sarah Shelley’s leadership, the All Classical Board also became a more unified governing body. Shelley left the station in fall 2007, and the KBPS Public Radio Foundation engaged in a nationwide search for a replacement. Maynard Orme, then recently retired from Oregon Public Broadcasting, served as the interim manager during the transition. His expertise was valuable, and he provided an important stabilizing presence. Long-desired, service to the North Central Oregon coast became a reality in May of 2008 when the station launched its 2nd repeater station, KQOC 88.1 FM, on top of Cape Foulweather. Jack Allen was selected from among a pool of national candidates and began his tenure as President and CEO in the summer of 2008. His experience at Minnesota Public Radio, his forward-thinking leadership of KMFA in Austin, and his unique combination of fundraising, management, and on-air experience made him the clear choice. Allen hit the ground running, quickly assessing the current needs of the station and developing a strategy for success and growth. Under his guidance, staff members share a renewed sense of pride and vision for the future. The organization continues to reach unprecedented levels of audience satisfaction and financial support. Under Allen emphasis was placed on enhancing the station’s content platforms (participating in social media such as Facebook, website improvements and e-mail newsletters) and on expanding the service area. In 2009 power of the Hood River repeater was increased 1000%, to 4,000 watts, bringing service to several communities. Five different web stream formats were added to improve performance for listeners using computers and mobile devices. In 2009 KBPS Public Radio Foundation took another transformative step, changing its name to All Classical Public Media, Inc. and its call letters from KBPS to KQAC, further defining itself as an independent station known as All Classical Portland. As the number of listeners grew, so did the demand for programs that represent the diverse tastes of the All Classical audience. In 2010 Saturday Matinee with Ed Goldberg was added to the local program mix, providing a new dimension to the station’s cultural offerings. In fall 2010 KQAC 89.9 FM made national news by becoming the second-highest rated classical station in the United States. The positive changes over the previous decade had a powerful impact on station loyalty and appreciation. Support from open-ended, sustaining memberships grew more than 100% in 2011. The string of successes continued in 2011 when All Classical increased its broadcast power in Portland from 3,700 watts to 6,000 watts, extending coverage and improving reception. Also in 2011, the station updated the audio mixing consoles, and All Classical went “all digital,” from the microphones to the broadcast tower, with an enormous improvement in sound quality. That same year, Allen involved members of the All Classical staff, board, and community of volunteers in the process of updating the mission of the organization, aligning the station’s purpose to contemporary needs. The station’s brand, given its recent connection to Portland Public Schools, was addressed and clarified. No single change has done more to increase listening than the introduction of streaming on the All Classical website. In addition to being invited into the cars, homes, and offices of our Northwest neighbors, All Classical now reaches across the globe. Listeners from far-flung places like Cape Town and culturally rich cities like Munich choose to listen to All Classical Portland on the Internet. Many believe that’s a testimonial to the station’s quality, accessibility, and sense of place that is infused into every hour of programming. It’s striking to see how many characteristics of the early days have persisted. All Classical Portland maintains a strong sense of family that extends to the community, provides a welcoming and accessible atmosphere through open houses and member events, and encourages an ongoing dialogue with its listeners. Opportunities are available now that weren’t imagined 30 years ago: social media, Internet streaming, web-based programming, HD broadcasting, and maintaining a regular dialogue with listeners have all helped this rare, all-classical music service adapt and reinvent itself for generations to come. Employees, volunteers, listeners, and arts partners all take pride in the service All Classical provides, 24-hours a day, free to all. Today All Classical Portland is a universally available, down-to-earth source of great classical performances presented simply, warmly and sincerely. As the station concluded its 29th year, one final payment was made to Portland Public Schools for the acquisition of the FM license, ending the 10-year fundraising campaign. When asked to peer into a crystal ball and predict what the future might hold for All Classical Portland, many share a desire to see the station’s endowment grow to a level that will ensure security and financial stability, reducing dependence on fundraising. Having long ago outgrown the building on the Benson High campus, this community asset needs a new, permanent home, a home worthy of a world-class service. It needs a facility that offers the kind of capacity a talented, professional broadcast team requires. It needs a location with the visibility that acknowledges its connection to the community. It needs a pleasant place where listeners and contributors feel welcome, a place where musicians can perform for broadcasts and for small audiences. All Classical Portland’s Board of Directors is pleased to announce that a fully executed lease has been signed with Portland Opera to build such a facility on the second floor of the Hampton Opera Center, along the Willamette River, just south of OMSI. A special capital campaign is underway to fund this project separately from the station’s regular operating budget. The intention is to remain debt free and to position itself to operate successfully for the next 30 years. Creating content that entertains, educates, and inspires takes a knowledgeable team. As stewards of the music that spans 800 years, All Classical Portland continues to explore new and innovative ways of reaching larger audiences. As long as this service is here, the staff and community of supporters will endeavor to ensure the growing body of classical music has a place in the world. As All Classical Portland celebrates its 30th year, a young woman in Japan can connect to the Internet and experience the power of Beethoven’s Fifth for the first time. Your contribution is held by All Classical Public Media, a non-profit 501(c)(3) organization dedicated to preserving classical music radio and radio broadcast education in Portland. Tax-ID # 93-1042868.